SEO isn’t impossible to master. This article should help point you in the right direction. SEO is the art and science of ensuring your website ranks highly in the search engine organic results page. Of course, your website will still be indexed by search engines whether you put effort into SEO or not. But since most people don’t like scrolling past the first page of search results, there’s a high possibility that, without SEO, you simply won’t get much traffic. That’s not great from a B2B inbound marketing perspective as you want your website to act as the primary marketing channel, driving traffic and leads. How do search engines crawl the web? Google, Bing, DuckDuckGo, and other search engines have only one objective and that is to provide their users with the most relevant answers to their search queries. At the heart of their algorithm is a crawler that’s constantly scouring the internet to determine which sites are relevant, authoritative, and trustworthy. In the past, it was far easier to game the system. 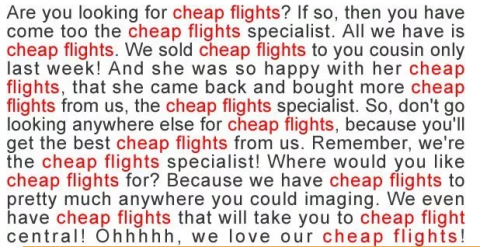 SEO experts utilized tactics like keyword stuffing — so if your website sold Canadian tour packages, a common method was to try to cram these specific keywords in your website copy as much as possible. This approach doesn’t work any longer. In fact, if you do this your website will actually incur a penalty and moved down the results page. That’s why we referred to SEO as both an art and science since it’s a creative, yet data-driven approach. Keywords are still, well, key, but there are many more factors to take into account too. Longform content typically outranks shorter pieces. Inserting tags and keywords in your image files improves SEO. And the more popular your website is — determined by how many external sites link back to you — the better it is from an SEO lens. We’ll go into more detail in the coming sections. 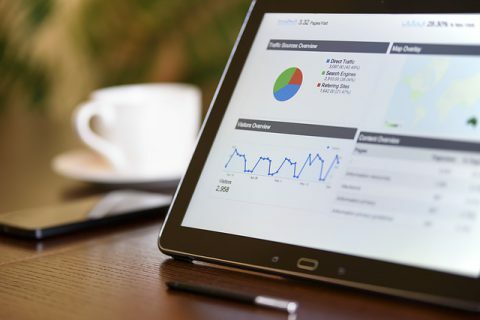 The following strategies should be at the heart of your SEO strategies. Google’s internal research on the importance of page load speeds is also validated by other sources. 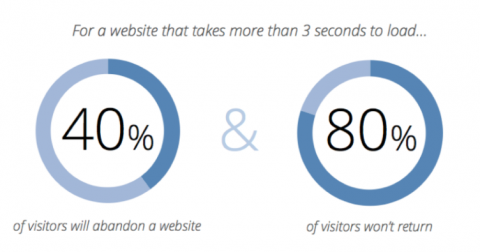 40% of people abandon a website if it takes more than 3 seconds to load and a 1-second delay in page response can result in a 7% reduction in conversions. A few quick fixes to increase site speed are to remove unnecessary, bloated images and widgets. Consult with your website developer and insist that page load speed be as optimized as possible. Google’s Page Speed Insights Tool is also a handy place to start. Backlinks – or the process where other websites link to your website’s pages – are a vital ranking factor in the search engine results page. Why is that the case? Because search engines like Google consider these links as ‘votes’, affirming that the content on the site is trustworthy, legitimate, and relevant. Well, one tactic is to leverage a third-party tool like Monitor Backlinks. This will provide you a comprehensive audit of all the sites linking back to you and the specific pages involved. Hence, it allows you to determine which content is top-notch and puts you in a position to promote it further. Monitor Backlinks can also do things like a competitor backlink audit. 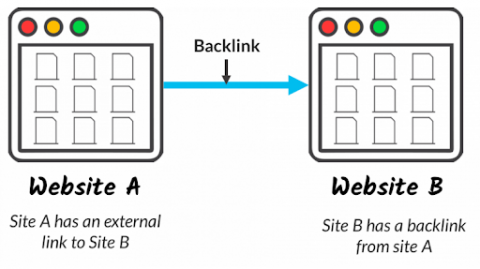 This gives you a snapshot of the backlink profile of competing websites, thereby indicating where the opportunities lie. If you can establish which sites routinely link to your competitors, you could reach out to them and convince them to link to you instead. Strive for more backlinks as it’ll help your SEO efforts manifold. As your business grows, it’s likely that you will keep adding new product pages, blogs, and other landing pages to highlight key services. But if you’re not careful, you might end up with a cluttered website that comes off as confusing for search engine algorithms. And if they’re confused, expect to be moved down the results. Site structure is the process of neatly organizing your website’s content. According to Mike Wiseman, SEO analyst at Jumpfactor, a neatly organized site structure makes it easy for crawlers to determine what industry your website covers and how to find the most relevant content on its pages. So how do you improve site structure? One method is to use interlinking opportunities wherever possible – that’s linking to your own pages within blog posts or product pages. Another is to analyze and remove content that might be in conflict with one another, confusing search engines. And the third is to plan out a proper site hierarchy. Is there any point writing content or trying to rank for keywords if no one’s actually bothering to search for them? The answer is “no” because it means all your SEO efforts would be for naught. Keyword research is the answer – it gives you granular details on the leading search parameters in your industry as well as the keywords utilized by your visitors when they land on your site. The best way to achieve this is to use a third-party tool like Ahrefs. Let’s elucidate with an example. Assuming you’re in the consumer products industry and you’re trying to sell your excess stock of winter boots. But are people actually searching for this? Yes, according to Ahrefs this search term has a healthy volume of searches. This means any SEO strategies targeting this term won’t be a shot in the dark. So how do you come to an understanding of the likely search terms in your industry? One way to go about it is by conducting an effective buyer persona framework. This means you make it a point to get to the heart of your target customer and understand their pain points. For example, if you’re in the managed IT services space then it’s likely that your target audience (corporate executives and senior managers) want solutions that firm up cybersecurity, decrease server operating costs, and enhance printing efficiency. Once you’ve mapped out what these potential questions might be, make sure to validate the assumptions via Ahrefs. The tool can also suggest certain tweaks to your approach, potentially enhancing traffic and leads. SEO is an ever-changing, iterative field. Google algorithmic changes keep propping up which force SEO experts to adapt their strategy. But one thing for sure is that this isn’t going away — humans are unlikely to stop using search engines as the starting point of their queries. In fact, the search might become even more ubiquitous than it is today, making SEO even more important for digital marketing strategies. It’s hard, but not impossible to get started with SEO. The strategies and tips we’ve demonstrated in this post are a valuable reference point and, if implemented correctly, should improve your rankings immediately. https://www.linkedin.com/in/brianna-pyne-213454181/ is a thought leader in the Digital Marketing Industry. She is currently working with https://www.jumpfactor.net/ and helps produce content related to content marketing & SEO for B2B businesses.